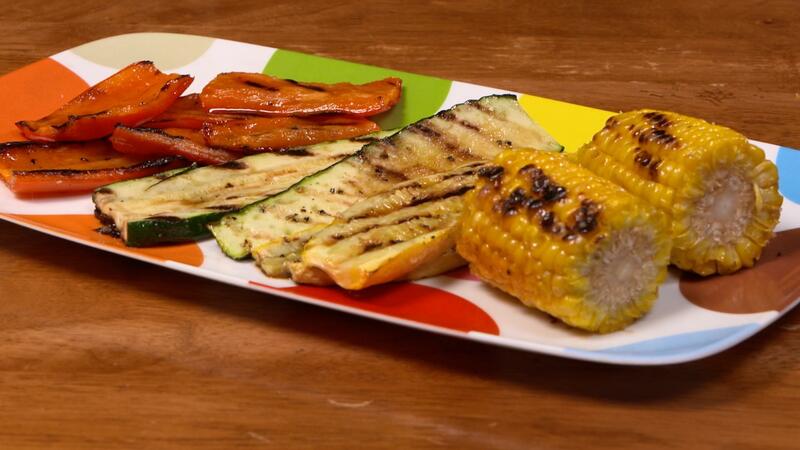 These Ponzu Glazed Grilled Vegetables are quick, easy and the perfect summer side! In a small saucepan, combine the apple juice, lemon zest, granulated garlic, sugar, and Ponzu dressing and bring to a boil over medium heat. Simmer until reduced to 1 cup, about 20 minutes and set aside. Brush vegetables with olive oil to coat lightly and season with salt and pepper. Working in batches, grill the vegetables until tender and lightly charred. Lightly brush glaze on both sides of the vegetables just before removing from the grill. A delicious grilling recipe perfect for any occasion!